With the advent of multiplexes everything is snazzy nowadays, including ticket windows where we buy the tickets for a movie show. I remember in the old days there used to be just one window for buying cinema tickets and a long line. That is uncommon at multiplex cinema halls in India these days and that is partly due to online booking. Here are two photos showing people buying tickets for a movie. The first one is shot at a large multiplex. 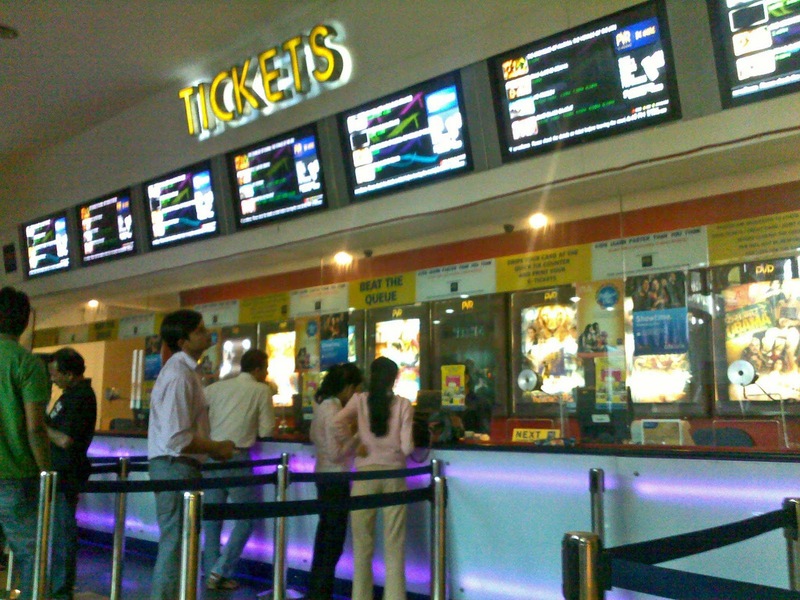 This picture, is taken at a smaller multiplex and shows the place where people buy tickets for the movies. 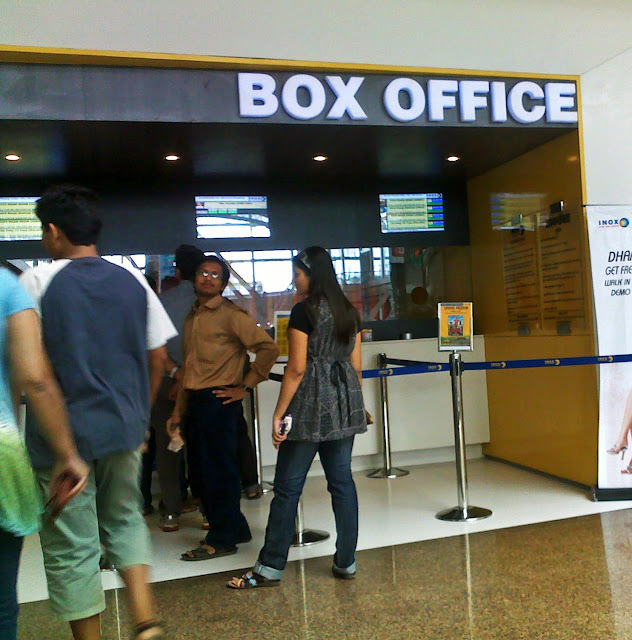 Related Images: Cinema Tickets images or if you are looking for a picture of people buying railway tickets try this post: Ticket counter and queue at railway station in India.